Chennai-based Dr. K. Vaseegaran spends day and night in constructing a human-android, and after many trials and errors does succeed in creating one in his own image. His girlfriend, Sana, decides to name him Chitti, and is very impressed by the way he not only rescues her from goons on a train, but also a woman from a fiery building; delivers a baby in the maternal ward of a hospital; and instructs mosquito's to keep away from her. Impressed by these turn of events, Vaseegaran decides to make Chitti more human by letting him feel emotions - this results in the latter not only rebelling but also getting obsessed with Sana and embarrassing the couple on the occasion of their formal engagement. Furious at these turn of events, Vaseegaran terminates Chitti and has it disposed off. But Dr. Bohra, who expects to net millions by such an android, reconstructs Chitti with a different chip - with results that will enable it to assist him to re-produce more such androids - as well as give the now malevolent, virtually indestructible and unstoppable Chitti the freedom to pursue Sana and re-populate Earth with a new species - Robo-Sapiens!! Regions are unavailable for this movie. 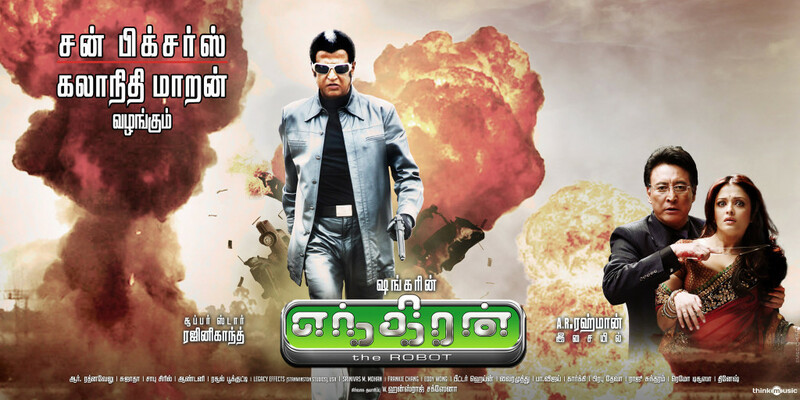 Click the "Watch on Netflix" button to find out if Enthiran is playing in your country.